Offer valid for a limited time only on sale stock. 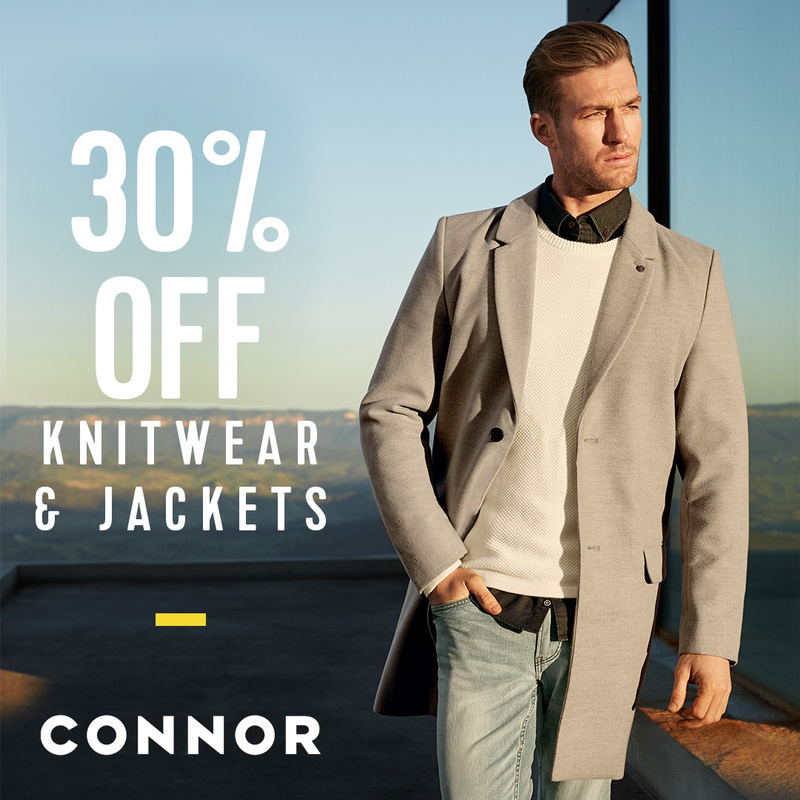 Excludes Jackets, Blazers & Suits. While stocks last. Sizes and stock availability will vary per store. 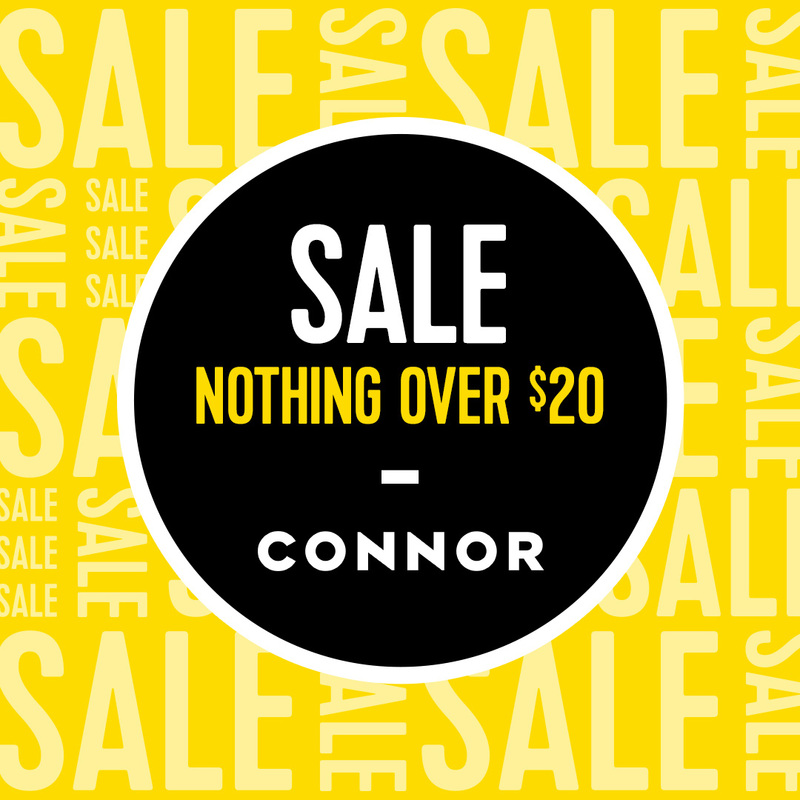 Only valid in Connor Outlet stores.